Definition: 1. To cover with or as if with a thin layer of gold. 2. To give an often deceptively attractive or improved appearance to. Dallas police officer James Chaney was not called to testify because he said there was a shot from the front. 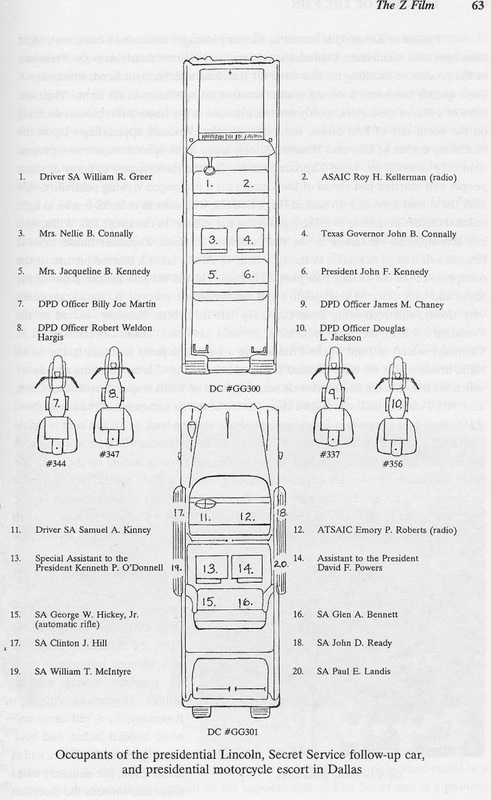 One of the enduring mysteries surrounding the assassination of President John F. Kennedy is why the Dallas police motorcycle officer closest to President Kennedy at the time of the assassination was never called to testify before or deposed by the Warren Commission. Police Department Motorcycle Officer James M. Chaney was assigned to the Traffic Division Solo Motorcycle and Special Enforcement Unit (Batchelor Exhibit #5002, page 17). As the diagram below shows, he was at the right rear of the presidential limousine within fifteen feet of the President. Some “researchers” assert Chaney was not called because he would testify there was a shot from the front – thereby proving two shooters. In reality they have “cherry picked” selective portions of an interview Chaney gave shortly after the assassination to prove their point. If they provided the complete transcript a different conclusion would be reached. ABC News Studio Reporter Bob Walker: "witness to the shooting." Lord: I understand you were riding next to the president's car when the assassination took place. Chaney: I was riding on the right rear fender. Chaney: We proceeded west on uh Elm Street uh at approximately 15 to 20 miles an hour. We heard the first shot, I thought it was a uh motorcycle backfiring and uh I looked back over to my left and Officer Billy [?] looked back over his left shoulder. Lord: You did not see the person who fired the shot. Lord: What preventive measures had been taken to, to procure [?] with such an incident? ABC News Studio Reporter: This patrolman was so close to the president that following the three shots his uniform was spattered with blood. There have been cases of unethical prosecutors withholding adverse evidence to convict a person charged with a crime to improve conviction rates. In my view this is no different.